An elegant navy and white satin tablecloth. 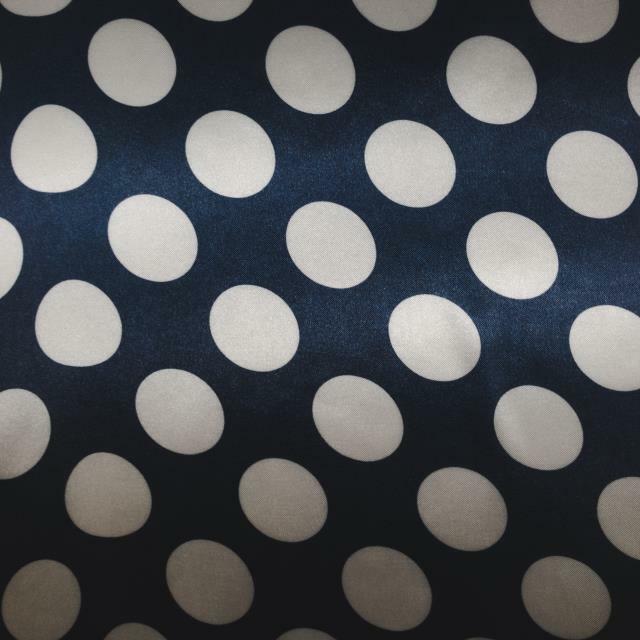 Primarily navy with 1" white polka dots. 118" round can be used on a 5' round, 6' round or high cocktail table. * Please call us with any questions you may have about our navy/white polka dot 118 inch rnd rentals/sales in State College, serving Central Pennsylvania.